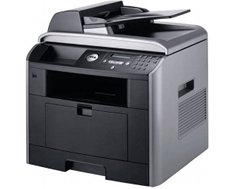 The Dell 1815DN is a multifunction monochrome laser printer that looks to cater to small and medium-sized offices and businesses that have multiple office needs such as printing, scanning, copying and faxing and are looking to have these needs addressed by a single machine with outstanding reliability and performance. With a number of features packed in the Dell 1815dn, offices, businesses and even home users should be thrilled with what it promises to deliver in the workplace. Dell 1815dn its dimensions are at 450mm (width) x 438mm (depth) x 457mm (height), with a simplistic combination of black and gray for its main body and outer layers, respectively. The Dell 1815dn is relatively small compared to other multifunction printers, but its size does belie its performance. The Dell 1815dn boasts improved speeds for all its functions and a minimal yet elegant design that perfectly suits compact and even spacious office spaces. It is also lightweight, only weighing 17.5 kilograms which is relatively lighter compared to other multifunction printers. Print and copy speeds are up to an approximate 25 pages per minute, which are pretty competitive when pitted against other brands' multifunction printer models. A powerful 300MHz processor enables the Dell 1815dn to measure up to such speeds, aside from its scanning and faxing features. Resolutions also have excellent quality, with print resolution having a 600 x 600 dots per inch value with a maximum 1200 image quality. Scanning resolution on the other hand is up to 4800 x 4800 dpi for interpolated resolution and 600 x 1200 for optical. Scanning supports monochrome and color types, with color scanning outputs give a 24 bit high quality color images and/or graphics. It also includes a standard 64MB memory on board, with an additional 32MB provided in DIMM slot. The memory can also be upgraded up to a maximum of 192MB, to better handle multiple and more complex combinations of tasks. The Dell 1815dn has a wide variety of operating systems that it supports, from various Windows and Mac platforms and also different distribution releases under Linux. It also enjoys PostScript Level 3 support, as well as GDI, PCL6 and PS3, for print language support. Connectivity also include a high-speed USB 2.0 on its rear and a USB 1.1 found at the front of the device. It also has and a 10/100 Ethernet for LAN and network for added connectivity support, as well as network printing, scanning, copying and faxing. It also has a 50-page built-in automatic document feeder or ADF for other types of media. One critique against the Dell 1815dn is its tendency to sometimes produce washed up images in its Scanning feature. Also, the price range of the Dell 1815dn as a multifunction device means that not a lot of people will be able to come and get one from themselves, though admittedly, it is not exactly a product targeted to lower income individuals who are looking for a multifunction machine that can be flexible in its function at an affordable cost. Also, the lack of an LCD display unit on the Dell 1815dn makes it a bit harder compared to a breezy navigation on printers with with LCDs. Review it: "Dell 1815dn "
The Dell 1815dn is pretty durable and capable of heavy tasks, with a standard 300-sheet drawer, plus an optional 250-sheet drawer. 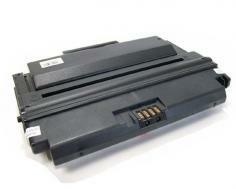 Standard toner cartridge ships with the Dell 1815dn, which has approximately 3,000 pages. A high capacity black toner cartridge can have an approximate 5,000 sheets, nearly doubling the output from is standard toner cartridge. This allows the Dell 1815dn to significantly reduce costs of printing, which can be as low as 1.5 cents per monochrome print. The Dell 1815dn drum unit has a maximum monthly duty cycle of 25,000 pages, with a recommended duty cycle at 500 to 3,000 pages. 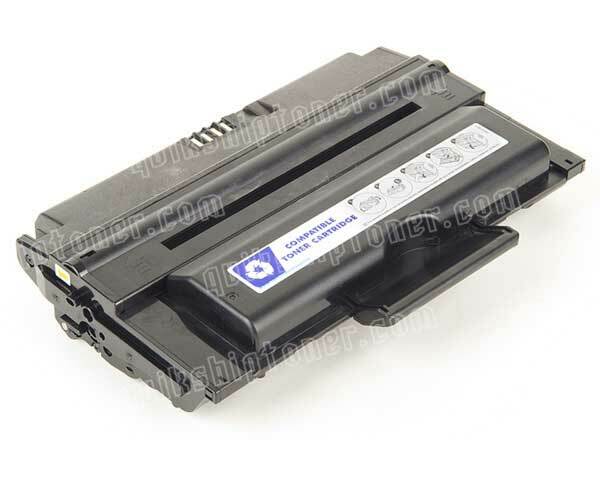 The Dell 1815dn also has its patented Dell Toner Management System which enables the users to check their toner status in order to reduce the amount of time and effort spent on difficult and costly replacements.